The final bell sounded and the crowd were on their feet, screaming for more, as if they were in Rome’s famous Coliseum. In this instance, the two gladiators were the flamboyant Floyd Mayweather Jnr and future Hall of Famer, Miguel Cotto. Mayweather, who boasts an unrivalled, undefeated record (now 43-0), has consistently attracted criticism during his glittering career. His knockers argue that he has never truly tested himself against the best. On Saturday night in Nevada, that all changed. Mayweather saved the best for last. Miguel Cotto, fresh from avenging his ‘loaded gloves’ defeat against Antonio Margarito, pushed the American out of his comfort zone, to the delight of both the local crowd and spectators around the globe. 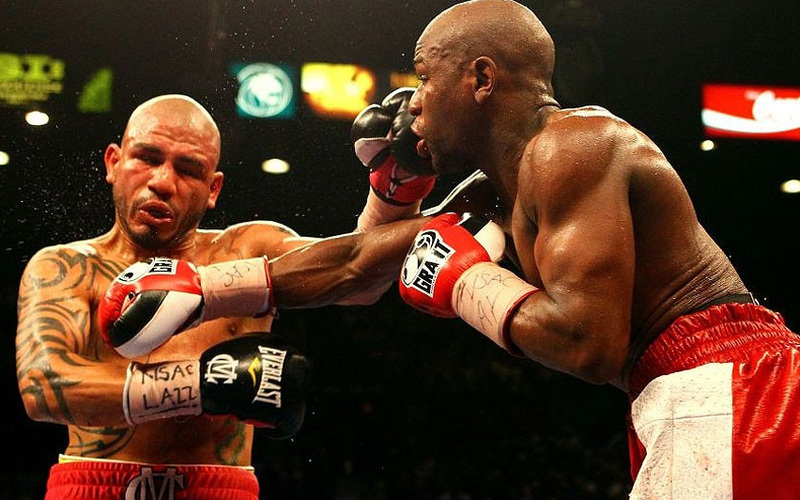 In doing so Cotto, defending his WBA light-middleweight belt, brought the best out of Mayweather. Mayweather, who stepped up in weight to fight the Puerto Rican, outboxed him as he threw 687 punches compared to Cotto’s 506. Cotto asked many questions of Mayweather but they were answered through an immense, combined display of offensive and defensive boxing. 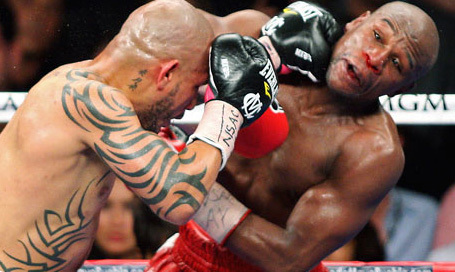 Mayweather landed 128 power punches whilst enduring 75 of Cotto’s finest. The judges awarded Mayweather both a unanimous and comfortable victory (two margins of 117-111 and one of 118-110). However, the purists would argue otherwise with some boxing correspondents marking the fight as close as 116-113. Mayweather’s brags of greatness have often been rejected yet Saturday’s performance did not only reiterate Floyd’s boasts but it also won him a new audience. “I wanted to leave my fans with at least one toe-to-toe performance.” Before Saturday’s bout, the Money team have been more jeered than cheered but boxing fans witnessed a true performance of grit, skill and courage – a display which often captures the imagination of many. This was greatness and it was Floyd’s finest hour. 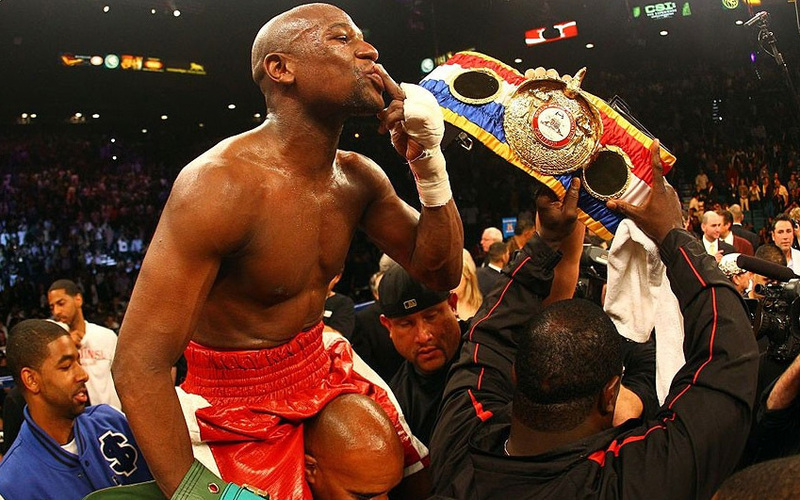 So now what does the future hold for Mayweather? He has claimed that Bob Arum (Manny Pacquiao’s Promoter) is at fault for blocking the eagerly awaited super-fight. “Let’s give the fans what they want to see. Let’s give them Mayweather-Pacquaio. The truth is, Bob Arum is not going to let the fight happen.” Ironically the Pacman flew into Los Angeles just hours before Mayweather and Cotto touched gloves in Las Vegas, as the Filipino southpaw begins his American training camp before his 9th June bout against undefeated junior welterweight champion Timothy Bradley. Before takes place, Mayweather will begin his 90 day incarceration following a charge of domestic battery. If Pacquiao successfully negotiates the potential banana skin of Bradley, there will be hope that an autumn or a winter bout between the best pound-for-pound boxers could go ahead. Otherwise, as Mayweather has himself admitted, there is not really anyone left out there to fight. If he does hang up his gloves (for a second time) then the Cotto fight will long live in the memory as the bout which confirmed Mayweather’s King of the Ring status. The business-end of the season is upon us – will the title ribbons be Blue or Red? I love the efforts you’ve put within this, value it for all the great content material.